TRU geography professor Michael Mehta voiced his concerns about the province’s low usage of renewable energy at last week’s Research Across the Disciplines talk. He thinks that B.C. should be moving towards solar power. “Germany, with an annual 1,500 hours of sunlight, receives 50 per cent of their renewable energy through solar installations,” Mehta said, noting that Kamloops receives 2,080 annual hours of sunlight in comparison. The grid system present in Kamloops can lose up to nine per cent of its power due to inefficiencies in transporting electrical power long distances from BC Hydro’s dams to energy-consuming hubs, Mehta said. The province’s current hydro-electric infrastructure, combined with its abundance of sunlight, could create a “perfect marriage” where the province utilizes solar power in the summer and hydro-electric in the winter, he said. According to Mehta, solar energy in North America is still under the shadow of fossil fuels. Those looking to buy and install a solar photovoltaic or thermal system can face a markup of nearly 200 per cent of the product and service’s actual worth, he said. Mehta’s idea isn’t necessarily to install solar panels on every roof in Kamloops, but to create a system of distributed mini grids built around solar-powered residences that distribute excess power to neighbours. Despite the heavy initial investment of switching to a photovoltaic or thermal solar system, he said homeowners could save up to $1,070 within their first year of installations. students need to take the first step in moving towards solar power. 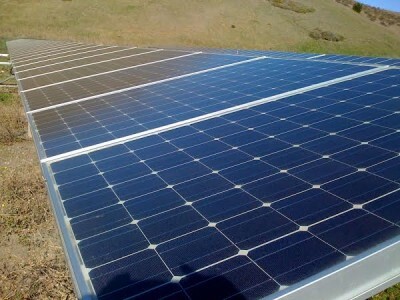 With the help of non-profit organizations, which sell equipment at the producer’s cost and install on a basis of donation, Mehta believes that the jump to seeing solar installations lining Kamloops’ infrastructure is fast approaching. Next week, Mehta will be hosting a presentation put on by his students for the city council and the general public. The focus will be on renewable energy projects proposed by his students for the Thompson-Nicola region. It will be held at 7:00 p.m. Thursday, April 2 in TRU’s Clock Tower.